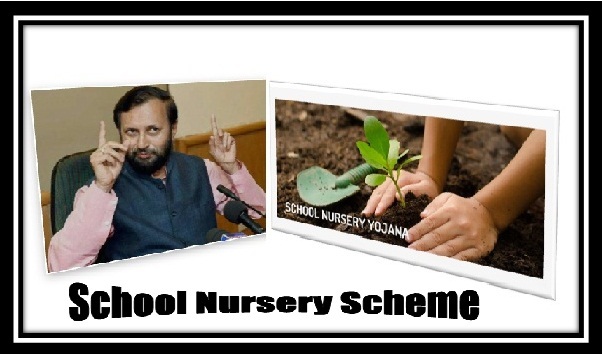 The Indian government announced the launching of a noble scheme named School Nursery Yojana. The main idea behind this scheme is to make the country a better place by making it greener and bringing the students close to nature so that they would carry out plantation drive across the country. The government has launched the scheme so that the schools would be obliged to build nurseries inside their campus and so that all the students can take part in it. The School Nursery Yojana in a school will be managed by selected trained staff in the school and the part of planting a tree would be included as a stage/program under Biology classes. The School Nursery Yojana scheme would be implemented in first 1000 schools in the first year and then it will be carried in all other schools the following year. The government has promised to accomplish this scheme in three years. The government has provided more than 60 schools with saplings in the first go and the schools have been asked to build nursery beds. Fruit giving plants and environment friendly plants will be grown under this scheme such as Bigunia, Kachnar, Jamun, Giloy and Haldi. The main motive behind School Nursery Yojana is to create consciousness and make a connection between students and nature. The students will spread this scheme throughout their localities which will help the country as the problem of deforestation would be solved and that is the indirect aim of this scheme. Raising Saplings The students would be obliged to raise saplings inside their school campus within the nurseries build by the schools. Sowing Seeds and Nurturing them The students would also have to carry out the process of sowing of seeds and then nurturing the seeds into seedlings and finally into plants. Growing Plants in Home The students will be urged to at least plant a tree in their home and nurture it. Carrying out Plantation Drive The students will also have to carry out the Plantation Drive in their localities. Benefits of the students: The students would be benefitted under this scheme as they would be able to enjoy the closeness to the nature. The students will be able to learn outside their books and will be able to gain practical knowledge through this process. The students will also become responsible through this scheme. Benefits of the School Authority: The school authorities will be benefitted as they will be released from the burden of providing practical knowledge to the students as the students will gain practical knowledge through this scheme. Benefits of the Government: The government would be benefitted by gaining citizen support and making their country nature friendly by implementing this scheme. If this scheme is implemented properly a better future is ensured as this scheme would ensure the nurturing process of future citizens along with the nature. The implementation of this scheme would make the country a better place to live in in the future.